Apple Music has been made available for public through iOS 8.4 update. Here are the seven essential features that you need to know before updating to the newer iOS build. Just like Technology, the music industry has been changing in the past decade. Most of us have seen how it transforms from the traditional cassette tapes to CDS, to Digital Downloads, to Streaming Services. And in the bid to once again change the whole music industry, Apple has released the iOS 8.4 intended for the Apple Music streaming service and Beats 1 global radio. Most of us think that this service is just another music streaming platform bidding for paying customers, but we might be wrong. Apple has designed this as a platform for "music as an art." 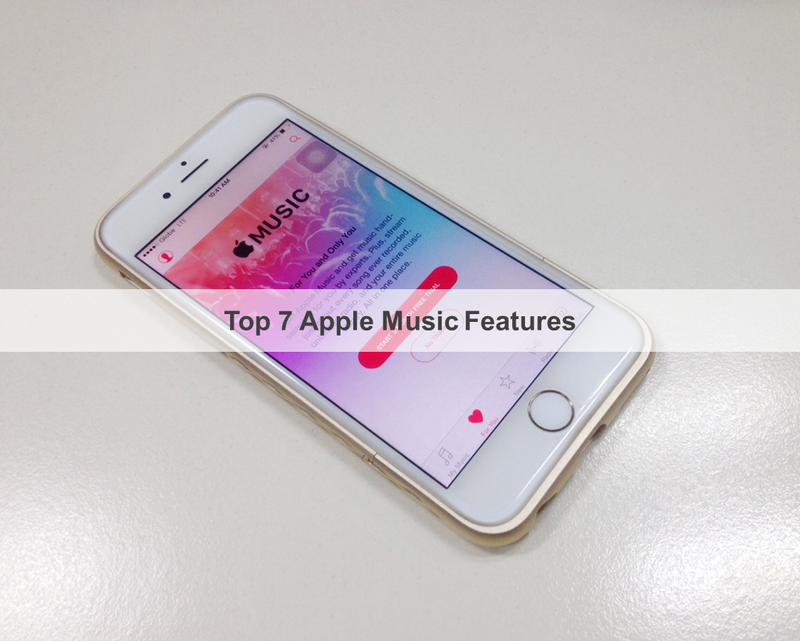 This article lays down what I think are the seven essential things you need to know about Apple Music by being an ordinary tech blogger and a music fan at the same time. If you're with me, just read on after the jump. To start, Apple has described Apple Music as a "Revolutionary Music Service" which includes a 24/7 global radio and a new way to connect with artists. This is the brainchild of the acquisition of Beats (with its Beats Music) and its failed attempt to push the iTunes Radio for most of its users. However, there's more to this service than just streaming music. In fact, according to the Cupertino company, it has designed this platform to streamline music. For one, the contents of the Apple Music is secured and kept by the world's music experts to ensure that you get the exact content whenever you need it. Music streaming service nowadays offers a whole lot when you’re discovering new music or searching for a specific kind of title; Apple wants us to believe that we get the exact titles once we hit search. All the songs that you have bought in the past will still be available in Apple Music with its iTunes Library Integration. All the tunes that you have loved will still be up for streaming and for download. This means that you don't have to start building up catalogues all over again; it will come to you as long as you login with the same Apple ID. For a music collector like me, this feature is very essential. Apple also promises to beef up iTunes Match for 100,000 songs alongside the release of iOS 9 later this year. And since the titles are curated by "world's best music experts," song recommendation will also be a breath of fresh air. This means that Apple Music knows what music you want right at the moment. This may sound creepy but Apple promises to not take advantage of your personal information, we'll at least not for this service. Thus, Apple is trying to up the ante with professional touches in this department which is quite impressive. The Apple Music is also a home of what the iPhone-maker called a "ground-breaking" radio station which will go live 24/7. This is broadcasted live in three key cities in the world (Los Angeles, New York and London) with your world-class music DJs. Apple dubbed this Radio service as "Beats 1" which will go live all over 100 countries around the globe. Those who are hooked with radio will get the chance to enjoy Beats 1. In fact, it has gone live an hour after the iOS 8.4 was released. One of the most notable features of this platform is "Connect" wherein both big stars and aspiring artists can post their music videos and connect with their fans. This feature of Apple Music gives aspiring artists a shot in making it big in the industry. Of course, one of the deal-makers of Apple Music is Siri's heavy integration in the music service's DNA. This means that your favourite songs are just a voice command away. Apple Music comes free in a three-month period for early adopters, after that you will be charged USD 9.99 for Individual membership and USD 14.99 for Family Membership which could take in at most 6 members. However, due to regional pricing in the Philippines, the Apple Music Membership only costs USD 2.99 for Individual and USD 4.99 for Family membership. That's exactly the same price I am paying with Spotify Premium membership.